At GoExpedi, we're committed to providing procurement solutions to increase the efficiency of your drilling operations. From our rigorous supplier selection process to our 24/7 support, we take pride in making sure you're in the best hands possible. We offer a comprehensive line of over 200,000 products from top drive parts to rope, soap & dope. All of our manufacturers are meticulously vetted to ensure you get the quality you deserve. Whether you’re a drilling contractor, service company, refinery or anything in between we’ve got parts for you. GoExpedi has significantly increased the efficiency of my purchasing. Its easy-to-use platform allows me to order the parts I need quickly and accurately, saving me time and money. 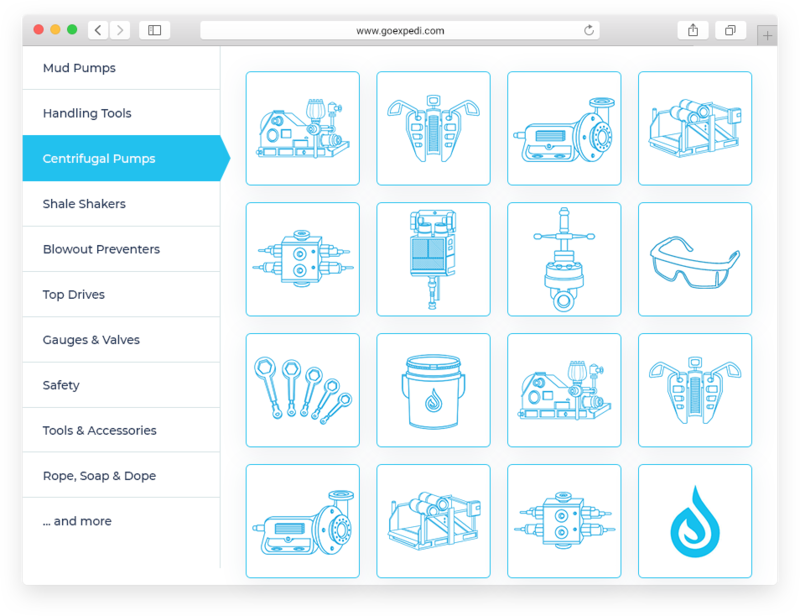 GoExpedi is redefining the oil and gas industry with its fast and transparent, Amazon like platform. GoExpedi is revolutionizing the industry by allowing our rigs to easily and accurately identify the parts they need, all while providing expenditure transparency and cost savings. Since we switched to GoExpedi supplied pump parts our rigs have never run so well. GoExpedi provides us top notch service and ease-of-use.